Judith A. Kopec, Administrative Law Judge, Office of Administrative Hearings, Special Education Division, State of California, heard this matter on November 27 through December 1, 2006, in San Francisco, California. Sheila O’Connor, attorney, and Paul Foreman, paralegal, represented Student. Student’s mother (Mother) also attended the hearing. 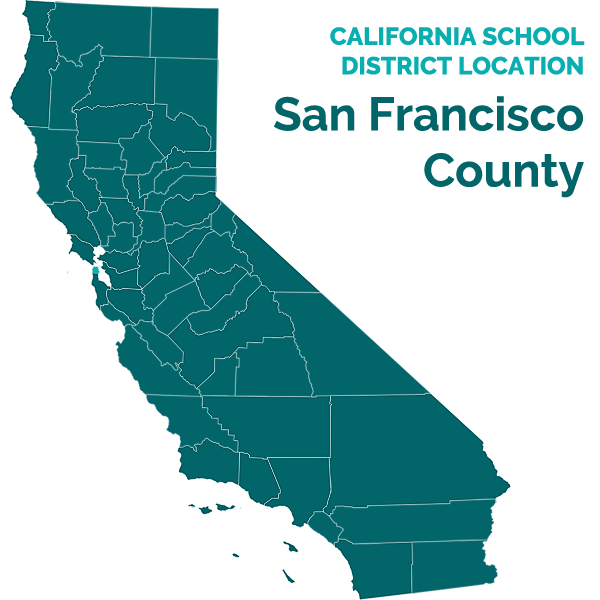 Carl Corbin and Lenore Silverman, attorneys, represented Respondent San Francisco Unified School District (District). David M. Wax, Ph.D., SELPA Director, Special Education Services, attended most of the hearing on behalf of District. Student filed the Complaint on July 28, 2006. On August 15, 2006, Student’s request for a continuance of the due processing hearing was granted. The record remained open for the submission of written closing arguments, which were received, and the record was closed on December19, 2006. 1. Did District deny Student a free appropriate public education (FAPE) by failing to appropriately assess him in all areas of suspected disability in the 2003-2004, 2004-2005, 2005-2006, and 2006-2007 school years? 2. Did District deny Student a FAPE by failing to adequately meet Student’s unique needs for the 2003-2004, 2004-2005, 2005-2006, and 2006-2007 school years? 3. Did District deny Student a FAPE due to procedural violations during the 2004-2005 and 2005-2006 school years? Student contends that District failed to timely and completely conduct a functional behavior analysis and failed to conduct a functional analysis assessment. District contends that it appropriately conducted a functional behavior analysis and was not required to perform a functional analysis assessment. Student contends that District failed to assess him in receptive and expressive language, and his academic performance in reading, writing, and mathematics. District contends that Student was not due for a triennial assessment of his speech and language skills until 2006. District contends that Student’s classroom teacher conducted regular curriculum-based assessment in the core academic areas, which satisfied its obligation to assess Student. Student contends that District failed to assess him in neuropsychology, and his academic performance in reading, writing, and mathematics. Student also contends that District is required to provide an independent educational evaluation at public expense in the area of neuropsychology. District contends that Mother never expressed any disagreement with any of District’s assessments; therefore, Student was not entitled to an independent educational evaluation at public expense. District further contends that Student’s curriculum-based assessment provided District with the information needed to provide services to meet Student’s unique needs. Student contends that District failed to assess him in the areas of assistive technology and central auditory processing. District contends that Student does not need an assistive technology assessment because District already provides the assistive technology he needs. District contends that Student does not require an assessment of central auditory processing. Student contends that District did not meet his unique needs by failing to include goals in his individualized education program (IEP) in the areas of receptive and expressive language, following directions, concentration, and facilitated peer relationships. District contends it met each of Student’s unique needs. District contends that Student did not require a specific goal in his IEP in order to meet each of his needs. District contends that Student’s special day class was designed to provide language instruction throughout the entire day, which met Student’s language needs. Student contends that District failed to meet his unique needs by failing to include adequate goals in the areas of phonological awareness; reading, including reading fluency and comprehension; receptive and expressive language; writing; and mathematics. District contends it met all of Student’s unique needs through the IEP’s goals and services, the modified curriculum, the program in the special day class, and assistive technology. District contends that Student’s level of performance and slow progress are due to the limitations imposed by his disabilities, and are not due to District’s failure to meet his unique needs. Student contends that District offered a program that failed to meet his unique needs in the areas of receptive and expressive language, reading, and writing. District contends that it offered a program that met all of Student’s unique needs, including an appropriate reading program. Student contends that the program and services District offered fail to meet his unique needs in the areas of receptive and expressive language. Student also contends that he required an intensive, one-to-one Lindamood Bell reading program. Student contends that he needs to receive the services recommended in his independent neuropsychology assessment. District contends it offered a program that meets all of Student’s needs. District contends that it has already implemented or is currently implementing each of the independent neuropsychologist’s recommendations. Student contends that the IEP failed to adequately describe the additional paraprofessional staff support that Student required. District contends that the IEP adequately described the supports and services that Student needed. District also contends that Student received the paraprofessional support he needed. Student contends that the IEP failed to describe the paraprofessional support that Student needed. District made the same contentions as described for the 2004-2005 school year. Student contends that the IEP did not adequately describe Student’s reading program. Student also contends that District failed to conduct an IEP meeting to discuss Student’s January 2006 triennial speech and language assessment, and failed to consider the results of an independent neuropsychology assessment. District contends that the IEP adequately described Student’s reading program. District contends that it was not required to hold an IEP team meeting to discuss the January 2006 triennial speech and language assessment. District contends that the IEP team met and considered Student’s independent neuropsychology assessment. Student contends that it is difficult to determine the appropriate compensatory education he needs. Students suggests that he be placed into a non-public school through the eighth-grade school year. Student also suggests that the Office of Administrative Hearings retain jurisdiction in case the parties are unable to agree on appropriate compensatory education. District contends that Student is not entitled to any relief. 2. In September 2002, a neuropsychologist at the Loyola University Medical School diagnosed Student with a learning disorder, not otherwise specified, moderately severe, including reading, written language and mathematics; a mixed receptive and expressive language disorder, moderately severe, with an auditory processing deficit and language delay; and attention deficit/hyperactivity disorder, inattentive type, moderate. District relied upon this neuropsychology assessment throughout Student’s time in the District. 3. San Ramon conducted psychological testing in February 2003 and found that Student’s intellectual ability was significantly below average. San Ramon’s speech and language assessment of February 2003 found that Student had a wide range of language ability. Student had a grasp of single-word vocabulary, but had significant difficulty with grammar and phonemic analysis. 4. As discussed in Legal Conclusions paragraph 14, a district must reassess a child with a disability at least once every three years or if a parent or teacher requests one. A district is required to assess a child in all areas of suspected disability, including language function, general intelligence, academic performance, communicative status, and social and emotional status. A district is also required to use assessments that provide relevant information to assist in determining the educational needs of the child. 5. As discussed in Legal Conclusions paragraph 15, as part of an evaluation, the IEP team must review evaluations and information provided by the parents; current classroom-based assessments and observations; and observations by teachers and related service providers. 1 Mother agreed to place Student at Aptos Middle School pending resolution of this matter. 2 The record is silent as to whether Student did not have a prior score in mathematics because he did not take the test, or because his score was unable to be reported. 3 The November 2004 IEP is the last agreed-upon IEP. 4 The IDEIA, effective July 1, 2005, significantly amended the IDEA. The allegations in this matter involve IEPs developed both prior to and after July 1, 2005. Accordingly, both the IDEA and IDEIA will be applied as appropriate. (See Amanda J. v. Clark County Sch. Dist. (9th Cir. 2001) 267 F.3d 877, 882 fn. 1.) All citations to title 20 United States Code are to the IDEIA, unless otherwise noted. 5 The Education Code was substantially amended to conform to the IDEIA, effective October 7, 2005. All citations to the Education Code are to sections in effect on October 7, 2005, unless otherwise noted. 6 Regulations to implement the IDEIA were effective October 13, 2006. All citations to 34 Code of Federal Regulations are to regulations implementing the IDEIA unless otherwise noted. 6. Student contends that District did not promptly conduct a functional behavior analysis after the IEP team determined that Student required a behavior support plan. Student contends that the functional behavior analysis did not include an observation of Student in the classroom. Student also contends that District failed to conduct a functional analysis assessment. 7. As discussed in Legal Conclusions paragraphs 22 and 24, when a child’s behavior impedes his learning, the IEP team must consider strategies, including positive behavioral interventions and supports, to address that behavior. 8. A functional behavior assessment that meets the definition of an evaluation must meet the requirements for an evaluation. As discussed in Legal Conclusions paragraph 16, an IEP required as a result of an assessment must be developed within 50 days from the date the district received the parent’s consent for the assessment. 9. As discussed in Legal Conclusions paragraph 23, federal law does not have any specific requirements for a functional behavior assessment. While California law does not define a functional behavior assessment, a behavior intervention plan, which is also known as a Hughes Bill assessment, is required when a student exhibits a serious behavior problem that significantly interferes with the implementation of the student’s goals and objectives. A behavior intervention plan must be based upon a functional analysis assessment. 10. District conducted Student’s first IEP meeting on September 19, 2003. Mother consented to the IEP on November 6, 2003. The IEP team determined that Student’s behavior impeded his learning and that of others, and that a behavior support plan needed to be developed. The IEP team met on March 25, 2004, and adopted a behavior support plan. 11. At some time prior to April 6, 2004, Mother requested that District perform a behavior assessment. On April 6, 2004, the District prepared a proposed assessment plan for a functional behavior assessment. Mother signed the assessment plan on an unknown date. On April 27, May 4 and May 6, 2004, Melissa Benson, District School Psychologist, conducted the functional behavior assessment. The assessment included interviews with Student, his teacher, and Mother; observation of Student in several locations at school; a review of prior medical evaluations and San Ramon’s psychological assessment; and the completion of several assessment tools. Ms. Benson administered the Differential Ability Scales to Student and the Behavior Assessment System for Children to Student, his teacher and Mother. The functional behavior assessment identified target behaviors, antecedents to the target behaviors, positive reinforcements, and replacement behaviors. 12. District conducted a timely and complete functional behavior assessment of Student. It complied with all legal requirements for an assessment and provided information to address Student’s behavior needs. The functional behavior assessment included observations of Student in the classroom. District was not required to conduct a functional behavior assessment before developing Student’s behavior support plan. District performed the functional behavior assessment within the timeframe required by law. The functional behavior assessment included observations of Student in the classroom, as was required. 13. Student’s contention that a Hughes Bill assessment was required is not supported by the evidence. The March 2004 behavior support plan identified self-injurious behavior, along with other behaviors, as a behavior that interfered with Student’s learning. As discussed in Legal Conclusions paragraph 23, self-injurious behavior is one type of behavior that may trigger a Hughes Bill assessment. However, no additional evidence was presented about the nature of Student’s self-injurious behavior. There is no showing this behavior significantly interfered with the implementation of Student’s goals. Student failed to show that he exhibited any serious behavior problems that required District to perform either a functional analysis assessment, or provide him with a behavior intervention plan under the Hughes bill. 14. Student contends that District failed to assess Student in receptive and expressive language, and his academic performance in reading, writing, and mathematics. Student contends that District failed to assess Student’s communication skills, as requested by Mother. Student also contends that he should have been assessed because he did not make progress in the areas of receptive and expressive language, reading, writing, and mathematics. 15. As discussed in Legal Conclusions paragraphs 14 and 16, a district must perform an assessment if one is requested by the parent. An assessment plan must identify the type of assessments to be conducted. 16. On September 2, 2004, Melissa Benson prepared an assessment plan proposing to assess Student in the areas of motor/perceptual development and educational/academic performance. The pre-printed assessment plan lists seven tests that may be administered to evaluate Student’s academic performance, including a variety of achievement tests, the Key Math Diagnostic Test, and the Gilmore Oral Reading Test. Mother consented to the assessment plan on September 3, 2004. 17. When Mother consented to the psychoeducational assessment, she wrote on the bottom of the proposed assessment plan that she also wanted Student to be given a communication development assessment. A communication development assessment was one of the assessments listed on the pre-printed assessment plan form. According to the form, a communication development assessment is done by a speech language specialist, and evaluates the student’s ability to understand, relate to, and use language and speech appropriately. 18. Ms. Benson conducted the psychoeducational assessment in September 2004. She interviewed Student, his teacher and parent; observed Student in the classroom and during testing sessions; reviewed his educational records; and, along with Student’s classroom teacher, administered several standardized assessment tools. 19. Ms. Benson administered the Comprehensive Test of Phonological Processing, which provides a comprehensive measure of Student’s mastery of phonological awareness and phonological memory. Student’s composite score in phonological awareness is significantly below average, which is attributed to his difficulty understanding directions, and indicates a problem with receptive language. 20. Ms. Benson also administered the Test of Auditory Perceptual Skills – Revised to measure Student’s ability to understand and interpret what he hears. Student scored very low on subtests requiring him to comprehend and interpret meaningful auditory directions, which indicates a problem with receptive language. 21. The results on some of the subtests of the Woodcock Johnson – III Test of Achievement (WJ-III) provide information concerning Student’s receptive and expressive language needs. Student performed at the mid-second grade level on the Picture Vocabulary subtest, which tests his ability to identify pictures, and indicates an expressive language problem. He also performed at the mid-second grade level on the Oral Comprehension subtest, which measures his listening, reading, and vocabulary abilities, and indicates a receptive language problem. 22. District did not provide an assessment of Student’s communication development, as Mother requested. Independent of Mother’s request to assess Student in the area of communication development, District had sufficient information to require it to assess Student in the areas of receptive and expressive language. District’s psychoeducational assessment addressed aspects of Student’s receptive and expressive language skills, but it was not conducted by a speech and language specialist, and was not a comprehensive assessment of Student’s ability to understand, relate to, and use language and speech appropriately. District failed to adequately assess Student in the areas of receptive and expressive language. 23. As part of District’s psychoeducational assessment, Ms. Mays, Student’s classroom teacher, administered subtests from the WJ-III to gain information about Student’s reading achievement, including reading decoding, speed, and comprehension. The psychoeducational assessment determined that Student’s overall performance in reading achievement, including reading decoding, speed, and comprehension, was at the mid-kindergarten level. His basic reading skills, including sight vocabulary and phonics, was at the mid-first grade level. 24. Student contends that District should have assessed his academic performance in reading, writing, and mathematics because he did not progress in these areas. Student has failed to show that his lack of progress resulted from District’s failure to assess Student, or that District was legally obligated to conduct additional assessment of his reading skills. District appropriately assessed Student’s academic performance in reading. 25. District’s psychoeducational assessment noted that Student continues to have significant difficulty with his writing, but no further assessment was done. Unlike the area of mathematics, which is discussed below, there is nothing in the assessment plan that makes it reasonable to conclude that writing was to be included in an assessment of Student’s academic performance. Student has failed to show that his performance in writing triggered an obligation for District to further assess him. District was not required to assess Student’s academic performance in writing. 26. The psychoeducational assessment is silent concerning Student’s academic performance in mathematics. The IEP team knew that Student was performing significantly below grade level in mathematics. There is no evidence that a systematic assessment of Student’s academic performance in mathematics had ever been performed. District’s assessment plan indicates that it was going to evaluate Student’s current level of academic performance. As determined in Factual Findings paragraph 16, the assessment plan included the Key Math Diagnostic Test as one of the assessment tools that may be used. The assessment plan neither limited the assessment to Student’s academic performance in reading, nor indicated that his mathematics performance would not be evaluated. District was required to assess Student’s mathematics skills. District failed to assess Student in the area of mathematics. 27. Student contends that District failed to provide a neuropsychological assessment and failed to assess his academic performance in reading, writing, and mathematics. Student also contends that District is required to provide an independent educational evaluation at public expense in the area of neuropsychology. 28. As discussed in Legal Conclusions paragraph 14, a district need not conduct a reassessment more than once a year unless the parent and district agree otherwise. 29. On November 30, 2005, Mother requested that District perform diagnostic testing to assess Student’s academic performance in reading. Mother believed that this was necessary to determine the appropriate reading program for Student. District did not respond to this request. 30. District last assessed Student’s academic performance in reading as part of its September 2004 psychoeducational assessment, which was over one year before Mother’s request. Student did not meet the reading goal from the November 2004 IEP. At the December 2005 IEP meeting, the team concluded that it needed further assessment of Student’s academic performance in the area of reading to determine his literacy needs. District failed to assess Student’s academic performance in reading. 31. As described in Legal Conclusions paragraph 21, a parent has a right to an independent educational evaluation at public expense if the parent disagrees with an evaluation obtained by a school district. When a parent request an independent educational evaluation at public expense, the district must either provide it, or initiate a due process hearing to show that its evaluation is adequate. 32. On December 8, 2005, Mother requested an independent educational evaluation at public expense in the area of neuropsychology because she did not believe that a comprehensive evaluation of Student’s cognition and performance had ever been done. Mother’s request for an independent educational evaluation was not based on any disagreement with any of District’s prior assessments. Student is not entitled to an independent educational evaluation at public expense in the area of neuropsychology. 33. In February and March 2006, Dr. Marian Diamond, a neuropsychologist, assessed Student at his parents’ expense. By Dr. Diamond’s own admission, her diagnoses and conclusions concerning Student’s needs are consistent with those of Student’s September 2002 neuropsychology evaluation upon which District relied. District was not required to perform a neuropsychology assessment of Student. 34. Student did not meet his writing goal from the November 2004 IEP because he was unable to independently dictate and copy a paragraph in the assigned time. The December 2005 IEP team concluded that it needed to have further assessment of Student’s academic performance in the area of writing to determine his literacy needs. 35. District’s occupational therapist determined in December 2005 that Student has the motor skills needed for handwriting. His performance on subtests of the Quick Neurological Screening Test Second Revised Edition show he has difficulty with body awareness and tactile processing, which indicate that writing tasks can be extremely difficult for Student. Student did not show that there was need for additional assessment in the area of writing. District appropriately assessed Student in the area of writing. 36. In spring 2005, Student scored far below basic in mathematics on the California standards tests. This was the first time that he received a mathematics score on the California standards tests.2 As described in Factual Findings paragraph 26, District failed to assess Student’s academic performance in mathematics during the 2004-2005 school year. The IEP team each year recognized that Student had significant needs in mathematics. Yet, District has never performed a formal assessment of Student’s academic performance in mathematics in spite of his needs and deficits. District’s defense that it performed adequate curriculum-based assessment of Student does not overcome the weight of the evidence supporting Student’s claim. District failed to assess Student’s academic performance in mathematics. 37. Student contends that District failed to assess him in the areas of assistive technology and central auditory processing. Student contends that he needs an assistive technology assessment so that District can provide him with devices and software to increase his academic independence. Student contends that he requires a central auditory processing assessment in order to identify appropriate services for his complex needs. 38. As discussed in Legal Conclusions paragraphs 19 and 20, a district may be required to conduct an assessment in the area of assistive technology if it is required to gain information about services or aids that are necessary for the child to receive a FAPE. 39. Dr. Diamond recommended that Student be assessed for assistive technology in order for him to gain independence in learning the curriculum and performing assignments. The December 2005 IEP offered Student a variety of assistive technology devices, including audio tapes, talking books, and a computer with adaptive software, such as a talking word processor and word predictor. District offered Student similar assistive technology in the December 2006 IEP. District was not required to assess Student in the area of assistive technology. 40. Dr. Diamond also recommended that Student be assessed in the area of central auditory processing from a trained audiologist. An assessment of Student’s central auditory processing will provide information concerning the internal pathways of his brain and how he processes sound. This will provide the IEP team with information to assist with the development of intervention strategies to ensure that information is effectively presented to Student. 41. Student exhibits some of the symptoms of a central auditory processing disorder, including difficulty understanding directions; problems with reading, writing, and mathematics; and social and emotional difficulties. Some of Student’s behaviors, which have been attributed to his diagnosis of attention deficit/hyperactivity disorder, may be the result of a central auditory processing disorder. 42. District has educated Student for three years with minimal progress. He continues to fall further behind in foundational skills necessary for meaningful progress, especially in the areas of reading and language. The District had sufficient information to know that Student needs a central auditory processing assessment in order to identify all his educational needs. District failed to assess Student in the area of central auditory processing. 43. Student contends that District did not meet his unique needs by failing to include goals in his IEP in the areas of receptive and expressive language, following directions, concentration, and facilitated peer relationships. Student contends that District failed to meet his needs in the areas of reading and written language because he did not progress in these areas. 44. As discussed in Legal Conclusions paragraphs 2 through 5, a student is entitled to receive specially-designed instruction and related services that meet his unique needs and are necessary to assist him in benefiting from his education. A school district is required to provide instruction and related services that are reasonably calculated to provide the student some educational benefit. 45. As discussed in Legal Conclusions paragraphs 7 through 9, an IEP must include academic and functional goals and special education and related serves designed to meet the child’s needs that result from the his disability so that the child may progress in the general education curriculum. The goals must also be designed to meet each of the child’s other educational needs resulting from his disability. 46. Student’s June 2003 IEP from San Ramon indicates he had unique needs in the following areas: written language, including grammar, writing mechanics, and spelling; reading, including phonemic awareness and comprehension; mathematics, including number operations and computation; and social skills. 47. District conducted Student’s first IEP meeting on September 19, 2003. Mother consented to the IEP on November 6, 2003. The IEP team reviewed and considered a significant amount of information in developing the IEP, including two audiology reports from 2002, a pediatric report and a neuropsychology report from Loyola University Medical School in 2002, and San Ramon’s occupational therapy and speech and language assessments from February 2003. The IEP team reviewed Student’s educational records. The IEP team determined that Student had unique needs in the following areas: receptive and expressive language, concentration, and facilitated peer interactions. 48. Student contends that District failed to meet his unique needs because there were no goals in the areas of receptive and expressive language. The November 2003 IEP includes a communication goal to develop vocabulary by categorizing objects by attributes. This goal involves expressive language skills. The IEP continues a similar goal that Student had previously, but had not yet met, during the prior school year in San Ramon. Student did not show that he had needs in the area of expressive language that were not met by this goal. District met Student’s unique needs in the area of expressive language. 49. The November 2003 IEP does not include any goal in receptive language. Student had a receptive language goal during the prior year in San Ramon, which he did not completely meet. There is no evidence that the IEP team determined that Student’s needs in the area of receptive language were met without a specific goal in the IEP. There is neither evidence of what services District provided to Student to meet his receptive language needs, nor evidence that he received educational benefit in this area. District’s defense that Student’s needs were met by virtue of being placed in a special day class for speech and language impairments is not persuasive. District provided general testimony concerning the classroom with few specific details concerning the program provided to Student. District did not meet Student’s unique needs in the area of receptive language. 50. Student contends that District failed to meet Student’s unique needs because there were no goals in the areas of following directions, concentration, and facilitated peer relations. 51. The November 2003 IEP did not include any goals in the areas of following directions, concentration, or facilitated peer interactions, even though it identified Student’s unique needs in these areas. 52. The IEP team met on March 25, 2004, and adopted a behavior support plan. The behavior support plan targeted, among other things, Student’s ability to follow the teacher’s directions and to get along with peers, two of his needs. 53. The IEP team met on May 25, 2004, and adopted goals addressing Student’s need to follow directions and to develop appropriate interactions with peers. 54. The March 2004 IEP addressed two of Student’s needs. District did not address his need in the area of facilitated peer relations until the May 2004 IEP, six months after the initial IEP determined Student had a need in this area. There is no evidence that once in place, these goals failed to meet Student’s needs. District failed to meet Student’s needs in the areas of following directions and concentration prior to March 26, 2004, and his need for facilitated peer relations prior to May 26, 2004. These delays resulted in minimal benefit to Student. 55. Student contends that District failed to meet his unique needs in the areas of reading and written language because he made no progress in these areas. 56. As determined in Factual Findings paragraph 46, Student had unique needs in the areas of written language, including grammar, writing mechanics, and spelling; and reading, including phonemic awareness and comprehension. 57. Student’s November 2003 IEP had one reading goal and one writing goal. The reading goal required Student to identify the initial, middle and ending sounds of single-syllable words, which addresses phonemic awareness. The writing goal required him to write a topic sentence and two detail sentences. 58. The IEP team reported that Student met these goals with assistance. Student’s report card indicates that he showed some improvement in understanding what was read to him, but no improvement in the areas of using context and phonetic clues, and reading fluency. He showed some improvement in composing and expressing ideas using dictation or fill ins, but little progress in grammar and spelling skills. Student showed some progress in reading and written language. District met Student’s unique needs in the areas of reading and written language. 59. Student contends that District failed to meet his unique needs by failing to include adequate goals in the areas of phonological awareness; reading, including reading fluency and comprehension; receptive and expressive language; writing; and mathematics. In addition, Student contends that District failed to meet his needs by reducing his speech and language services from 90 minutes per week to 180 minutes per month. 60. Student had unique needs in the areas of phonological awareness, reading fluency, reading comprehension, writing skills, receptive and expressive language, writing, and mathematics. 61. Student’s November 2004 IEP continued Student’s placement in a special day class, and reduced speech and language services from 90 minutes per week to 180 minutes per month. 62. As described in Factual Findings paragraph 23, Student’s overall performance in reading was at the mid-kindergarten to mid-first grade level. 63. District’s September 2004 psychoeducational assessment found that Student was significantly below average, scoring below the first percentile, in the area of phonological awareness on the Comprehensive Test of Phonological Processing. 64. In February 2003, San Ramon’s psychological report indicated that Student could not name 10 of 26 upper case letters and 13 of 26 lower case letters. A year and one-half later, the District’s September 2004 psychoeducational assessment indicated that Student still could not identify all upper and lower case letters. 65. Learning to read must be done sequentially. A child typically first learns and recognizes the letters of the alphabet, then the sounds associated with each letter and letter combinations, and then simple words comprised of a consonant, a vowel, and a consonant. The acquisition of each set of skills typically provides a foundation for subsequent skills and progress. 66. The November 2004 IEP includes one goal involving recognition of sight words and another goal involving spelling and reading words aloud. 67. Phonemic awareness, including phonics, is essential for a child to successfully learn to read; however, the November 2004 IEP does not contain a phonics goal. According to Ms. Mays, Student’s special day class teacher, this is because Mother wanted Student to focus on learning sight words as a priority. There is no discussion in the IEP concerning the decision to change the focus of Student’s program from phonological awareness to sight reading. Nor is there any evidence showing how Student’s needs in the area of phonological awareness were met without a goal in this area. The District failed to meet Student’s unique needs in the area of phonological awareness. 68. There is nothing in the November 2004 IEP indicating how Student’s needs in the areas of reading fluency and reading comprehension would be met. There are no goals in these areas. District’s defense that Student’s needs were met by the nature of the reading program Ms. Mays used is not persuasive. There is no specific information concerning Student’s work or progress in the areas of reading fluency and reading comprehension. The District failed to meet Student’s unique needs in the areas of reading fluency and comprehension. 69. Student contends that District failed to meet his unique needs in the areas of receptive and expressive language because he failed to have adequate goals in these areas, and because District reduced his speech services from 90 minutes per week to 180 minutes per month. 70. The November 2004 IEP contains one oral comprehension goal that requires Student to listen to material from the curriculum and identify key concepts. While not identified as a receptive language goal, it involves Student’s receptive language skills. As discussed in Factual Findings paragraph 19, District’s September 2004 psychoeducational assessment attributed some of Student’s low scores to his difficulty comprehending and interpreting auditory directions, which is a receptive language skill. There is nothing in the IEP addressing how Student’s receptive language needs concerning understanding and following auditory directions will be met. 71. The November 2004 IEP contains one speech goal that requires Student to sort picture word cards by attributes and explain the categories. Although not identified as such, this goal involves expressive language skills. Student has a relative strength in expressive vocabulary, which is likely attributed to the fact that he has had a similar goal since at least February 2003. 72. District relied upon San Ramon’s speech and language assessment, dated February 6, 2003. The assessment noted that the intelligibility of Student’s speech is compromised by incomplete thoughts or sentences, and he has difficulty staying on topic. The November 2004 IEP does not include any goal that addresses these expressive language needs. 73. The November 2004 IEP reduces Student’s speech and language services to 180 minutes per month from 90 minutes per week in the November 2003 IEP. This is done without any evidence that Student’s needs have decreased or that his needs are otherwise met. District’s defense that Student’s language needs were met by virtue of being placed in his special day class is not persuasive. There is no specific evidence concerning Student’s work or progress in the areas of receptive and expressive language. District failed to meet Student’s unique needs in the areas of receptive and expressive language. 74. The November 2004 IEP includes a writing goal that involves Student dictating and copying his answers to form a paragraph with correct punctuation and spacing, and with the assistance of a writing organizer, appropriate assistive technology, and adult support. 75. Student’s production of written work is challenging and time-consuming. During the prior school year, Student resisted writing and relied on staff to dictate what he should write. This current goal focuses on the need for Student to dictate and copy his own answers. Student did not present evidence showing that he had additional needs in the area of writing that were not met by the November 2004 IEP. District met Student’s unique needs in the area of writing. 76. The IEP contains a functional mathematics goal that addresses Student’s skills in the areas of counting money, knowing the time of each class, and using a calendar. This functional math goal is very similar to one in San Ramon’s June 2003 IEP. 77. Unlike the November 2003 IEP, the November 2004 IEP does not have a goal addressing arithmetic skills. Student met or exceeded the 2003 math goal of independently performing two-digit addition problems. Yet, the November 2004 IEP does not further develop Student’s arithmetic skills. Instead, it focuses exclusively on a functional math goal without any justification. While it may be reasonable to expect Student’s functional skills to progress by working on this goal, this progress is minimal in light of his need to develop math skills, both functional and conceptual, as he begins fourth grade. District failed to meet Student’s unique needs in the area of mathematics. 78. Student contends that District offered a program that failed to meet his unique needs in the areas of receptive and expressive language, reading and writing, because it did not have adequate goals. Student contends that the District failed to provide him an appropriate multi-sensory reading program with one-on-one instruction, which he needed to meet his unique needs. 79. Student had unique needs in the areas of receptive and expressive language, reading, and writing. 81. The December 2005 IEP has two listening comprehension goals. Each requires Student to listen to oral information and identify key concepts. This goal involves receptive language skills. As determined in Factual Findings paragraph 70, this is virtually identical to the November 2004 IEP goal. The analysis in Factual Findings paragraph 70 that found the November 2004 IEP inadequate also applies here. 82. District’s January 2006 triennial speech and language assessment shows that Student has severe deficits in receptive language, including difficulty following multi-step directions. As discussed in Factual Findings paragraph 121, District did not revise the IEP to address needs identified in the assessment. District failed to meet Student’s unique needs in the area of receptive language. 83. The December 2005 IEP does not include a goal addressing Student’s needs in the area of expressive language. District continues to address just one aspect of Student’s language needs. The January 2006 triennial speech and language assessment found that while Student could generate simple sentences, such as ‘I was running,’ his attempt to formulate more complex sentences resulted in fragmented sentences. Although Student is likely to continue to progress with the listening comprehension goals in the IEP, there is no justification for failing to address Student’s other language needs. District failed to meet Student’s unique needs in the area of expressive language. 84. The December 2005 IEP has one reading goal that requires Student to read up to 70 sight words, which is almost identical to the goal in the November 2004 IEP. Student’s 2005 baseline is 40 sight words, up from his 2004 baseline of 11 words. The IEP does not address phonics or other areas of phonemic awareness, even though Student continues to have needs in this area. 85. The IEP team noted that Student was making progress with a multi-sensory approach to reading with one-on-one instruction. At the same time, the team recognized that the level of Student’s reading skills significantly affected his involvement in the general education curriculum. 86. Although the December 2005 IEP did not expressly require that Student receive a multi-sensory approach to reading with one-on-one instruction, it is reasonable to conclude that this is what is required. It is also reasonable to conclude that the IEP team determined that the reading program provided by the District at Francis Scott Key was not meeting Student’s needs. District offered Student placement in a special day class at Cobb Elementary School because it had a comprehensive multi-sensory reading program that was different from that offered at Francis Scott Key. Mother did not consent to this placement because she believed it was not appropriate to have Student enter the program mid-year. 87. District contends that Student’s needs in the area of reading were met by the program in his special day class at Francis Scott Key. Even with the multi-sensory program provided by Ms. Mays, the severe deficits in Student’s reading skills show that District is not meeting Student’s needs. District did not meet Student’s unique needs in the area of reading because it did not provide an appropriate, consistent multi-sensory reading program with one-to-one instruction. 88. The December 2005 includes two writing goals. One requires Student to complete writing assignments with proper organization, spacing, and neatness during allotted class time. This is very similar to the writing goal in the November 2004 IEP. While Student made progress toward the prior year’s goal, he did not meet the goal because he was unable to perform the tasks with minimal support. The second writing goal requires Student to write letters of the alphabet and his name legibly in cursive or joined italic with maximum support. 89. The IEP team determined that Student’s writing skills significantly affect his involvement in the general curriculum. This is the first time that District has offered Student a goal addressing his need to form letters. Student has not shown that he has other needs in the area of writing that were not being met. District met Student’s unique needs in the area of writing. 90. Student contends that the program and services that District offered fail to meet his unique needs in the areas of receptive and expressive language. Student also contends that he requires an intensive, one-to-one Lindamood Bell reading program. Student contends that he needs to receive the services recommended in his independent neuropsychology assessment, such as training him to use a keyboard and to take class notes using pictures instead of words. 91. Student continues to have unique needs in the areas of receptive and expressive language and reading. 92. The November 2006 IEP offered Student placement in a special day class at Aptos Middle School and 135 minutes per month of direct speech and language services. 93. District’s January 2006 triennial speech and language assessment shows that Student has severe deficits in the areas of receptive and expressive language. Student’s areas of need include difficulty following multi-step directions, difficulty identifying relationships between words, and difficulty with organizing his thoughts for oral expression. 94. The November 2006 IEP includes a listening comprehension goal that requires Student to listen to material from the curriculum and identify the main idea and supporting details. This same goal, which addresses receptive language skills, was included in the November 2004 and the December 2005 IEPs. 95. The November 2006 IEP team acknowledged that Student has difficulty orally expressing himself in a clear narrative, and regularly mixes his ideas in a confused and disjointed manner. The IEP includes an oral and written communication goal that requires Student to use visual and verbal self-cueing strategies to improve on-task behavior and verbal narratives. There was no evidence on how this goal would be implemented. To the extent that it involves improving Student’s ability to formulate verbal narratives, it involves expressive language skills that had not previously been included in Student’s IEP. 96. Student is participating in a social skills group once a week. A social skills group can involve aspects of both receptive and expressive language. Although mentioned in the IEP’s narrative, it is not included in the list of offered services. 97. Student’s speech and language services throughout his three years in the District have focused on vocabulary development and listening comprehension. Student’s performance on standardized tests in these areas, while showing serious deficits, are higher than other areas. This shows that Student responds to consistent intervention. It also shows that Student needs consistent, systematic, and comprehensive intervention in both receptive and expressive language. 98. The November 2006 IEP, while including a new expressive language goal, fails to meet Student’s severe and complex needs in the areas of receptive and expressive language. There are no goals that meet Student’s needs to follow multi-step directions or to understand the relationships between words. District failed to meet Student’s unique needs in the areas of receptive and expressive language. 99. Student did not offer the testimony of a speech and language pathologist concerning the amount of speech and language services he requires. Student required 90 minutes per week of speech and language services in 2003-2004. Student’s needs have not decreased since that time. Accordingly, it is found that Student requires 90 minutes of speech and language services in the 2006-2007 school year. 100. As discussed in Factual Findings paragraph 87, Student required a consistent, multi-sensory reading program with one-to-one instruction to meet his needs in the 2005-2006 school year. Student’s needs did not decrease for the 2006-2007 school year. 101. The November 2006 IEP includes a goal in the area of reading fluency, which requires Student to read 60 words per minute. Student’s baseline is that he can read 40 high frequency words. This is the first time that District developed a reading fluency goal for Student. 102. The oral and written communication goal includes an objective in the area of phonemic awareness. It requires Student to repeatedly visualize, verbalize and write the sounds of the alphabet and words with short vowel sounds. Student was able to name 13 of 21 lower case consonants and 16 of 21 upper case letters, and identify 19 of 23 letter sounds. This shows trivial progress from his performance in February 2003 when he could identify 13 of 26 lower case letters and 16 of 26 upper case letters. Student continues to be learning short vowel sounds in three-letter words, although he reportedly met a goal in this area when it was last included in his IEP in November 2003. This shows an inability to retain skills previously learned and a lack of meaningful progress. 103. The IEP is silent concerning Student’s need for a multi-sensory reading program with one-to-one instruction, which the IEP team recognized in December 2005. Student continues to need such a program. After three school years of attempting a variety of approaches to reading, Student falls further behind, his progress in reading is trivial at best, and he is not retaining skills previously learned. 104. As determined in Factual Findings paragraphs 102 and 103, District’s reading program failed to meet Student’s unique needs. The only evidence presented of a program that is able to meet Student’s complex needs in reading is the Lindamood Bell program. Student requires 200 hours of an intensive, consistent Lindamood Bell program focusing on concept imagery for oral and written language comprehension and phonemic awareness/ symbol imagery for phonological and orthographic processing. 105. Student contends that District must implement 15 of Dr. Diamond’s recommendations in order to meet his unique needs. Some of Dr. Diamond’s recommendations are consistent with issues addressed elsewhere. For example, Student’s need for an assessment of his academic performance in mathematics is discussed in Factual Findings paragraph 26. Some of them are required by the November 2006 IEP, such as repeatedly exposing Student to learning materials. Student has failed to show that the rest of Dr. Diamond’s recommendations, such as having Student draw pictures while he takes notes, are required to meet his unique needs. District was not required to implement Dr. Diamond’s recommendations in order to meet Student’s unique needs. 106. As discussed in Legal Conclusions paragraph 6, a school district must comply with both the substantive and procedural requirements of the law. To constitute a denial of a FAPE, a procedural violation must result in the loss of educational opportunity, a deprivation of educational benefits, or a serious infringement of the parents’ opportunity to participate in the IEP decision-making process. 107. Student contends that the IEP failed to adequately describe the additional paraprofessional staff support that Student required. Student contends this denied him educational opportunity because the IEP did not specify the support services he was required to receive. Student contends that this prevented his parents from participating in the decision-making process because they did not know what services were being offered. 108. As discussed in Legal Conclusions paragraphs 7, 9, and 12, an IEP must include a statement of the special education and related services and supplementary aids and services to be provided, and their anticipated frequency, location, and duration. A district must provide a clear, coherent written offer so that the parents can understand what is offered and reasonably decide whether or not to accept it. 109. The November 2003 IEP states that Student will benefit from additional support staff for assistance in general education classes to redirect him and adapt the curriculum. It also states that this can be met with the staff assigned to Student’s special day class. 110. The November 2004 IEP states that Student is receiving additional support staff services every day for all school subjects and recess in order to provide for his safety, implement his behavior program, meet his IEP goals, and participate in the core curriculum in his special day class and general education classes. It also states that the IEP team will reconvene to provide documentation for additional support staff to be assigned to Student. This never occurred. 111. Neither of the IEPs governing the 2004-2005 school year includes paraprofessional support as one of the services to be provided Student, even though they clearly indicate that such support is required for Student’s unique needs. The IEPs do not state whether Student requires constant, one-to-one support or more intermittent support. The IEPs do not describe the specific type, frequency, or duration of the required support services. 112. Although the IEP failed to adequately describe the additional support services that Student required, he received the assistance of a paraprofessional to meet his needs. Student did not show that Mother was denied an opportunity to participate in the decision-making process as a result of the IEP’s failure to adequately describe his paraprofessional support. 113. The December 2005 IEP notes that Student is able to participate in the general curriculum with the assistance of additional support staff to modify the curriculum, read text aloud, and act as a scribe. The IEP does not state whether Student requires constant, one-to-one support or more intermittent support. The IEP does not describe the specific type, frequency, or duration of the required support services. 114. Student required one-to-one paraprofessional support to participate in the curriculum. District failed to adequately describe the additional support services that Student required to meet his unique needs. Nevertheless, Student received paraprofessional assistance to meet his unique needs. Student did not show that Mother was denied an opportunity to participate in the decision-making process as a result of the IEP’s failure to adequately describe his paraprofessional support. 115. Student contends that the IEP did not adequately describe his reading program. which resulted in loss of educational benefit. 116. As described in Factual Findings paragraphs 86 and 87, Student required a consistent, multi-sensory reading program with one-to-one instruction addressing all of his needs in a systematic fashion. The IEP failed to describe the reading program and services that Student required to meet his unique needs. As described in Factual Findings paragraph 87, District failed to meet Student’s unique needs in the area of reading. District’s failure to adequately describe the reading program in the IEP resulted in loss of educational benefit to Student because his needs in the area of reading were not met. 117. Student contends that District failed to conduct an IEP meeting to discuss his January 2006 triennial speech and language assessment, and failed to consider the results of an independent neuropsychology assessment. 118. As described in Legal Conclusions paragraphs 16 through 18, when an assessment or reassessment has been completed, a group of qualified professionals and the student’s parents must determine the educational needs of the child. The IEP team must revise a student’s IEP within 60 days if required by the results of a reassessment. As described in Legal Conclusions paragraph 21, the IEP team must consider the results of an independent assessment. 119. As discussed in Legal Conclusions paragraph 11, the IEP team is composed of the parents of the child with a disability; at least one of the child’s regular education teachers; at least one of the child’s special education teachers or, if appropriate, at least one of the child’s special education providers; a representative of the school district who meets specific requirements; and a person who can interpret the instructional implications of evaluation results. 120. District relies upon Education Code section 56343, subdivision (a), to argue that it was not required to hold an IEP team meeting to discuss District’s January 2006 triennial speech and language assessment. District is disingenuous to now claim it was not required to conduct an IEP team meeting to consider Student’s triennial assessment. District’s assessment plan concerning the triennial speech and language assessment informed Mother that an IEP meeting would be held within a specific time period. District requested and Mother consented to an extension of time to conduct an IEP team meeting to discuss the speech and language assessment. District was required to conduct an IEP team meeting to discuss Student’s triennial speech and language assessment. 121. District notified Mother that an IEP team meeting to discuss Student’s triennial speech and language assessment would be held on March 20, 2006. On that date, Mother met with the speech and language pathologist who performed the assessment. The only other person present was the occupational therapist who also performed a triennial assessment. Neither Student’s special education teacher, nor a general education teacher attended the meeting. District failed to conduct an IEP team meeting to discuss Student’s triennial speech and language assessment. 122. The District’s failure to conduct an IEP team meeting to discuss Student’s triennial speech and language assessment resulted in a loss of educational opportunity. The IEP team failed to consider the findings of the assessment until November 2006. As described in Factual Findings paragraph 95, the November 2006 IEP team included a new expressive language goal not previously offered to Student. Student was denied the benefit of this during the 2005-2006 school year. 123. District conducted an IEP team meeting to discuss Dr. Diamond’s independent neuropsychological assessment on June 1, 2006. The IEP team determined that it would reconvene to respond to the information in the assessment. District failed to conduct another IEP team meeting to completely consider Student’s independent neuropsychological assessment. There is no evidence that this resulted in a loss of educational benefit to Student, since the findings of the independent assessment were consistent with the prior assessments upon which District relied. 124. Student contends that it is difficult to determine the appropriate compensatory education he needs. Students suggests that he be placed into a non-public school through the eighth-grade school year. Student also suggests that the Office of Administrative Hearings retain jurisdiction in case the parties are unable to agree on appropriate compensatory education. 125. Student has failed to show that he requires placement in a non-public school in order to be provide a FAPE. 20. There is no express requirement that a school district perform an assistive technology evaluation. Assistive technology devices or services may be required as part of the child’s special education services, related services, or supplementary aids and services. (34 C.F.R. § 300.105.) A school district is required to use the necessary assessment tools to gather relevant functional and developmental information about the child to assist in determining the content of the child’s IEP. (34 C.F.R. § 300.304(b)(1)(ii).) A school district is also required to ensure that the evaluation is sufficiently comprehensive to identify all of the child’s needs for special education and related services. (34 C.F.R. § 300.304(c)(6).) Therefore, in the proper circumstance, a school district may be required to perform an evaluation of a child’s need for assistive technology devices or services. Did District deny Student a FAPE during the 2003-2004 School Year? 26. As described in Legal Conclusions paragraphs 2 through 5, and 7 through 10, and determined in Factual Findings paragraphs 49 and 54, District failed to meet Student’s unique needs in the areas of receptive language, following directions, concentration, and facilitated peer relationships. As determined in Factual Findings paragraphs 49 and 54, Student did not receive any educational benefit in the areas of receptive language, following directions, concentration, and facilitated peer relationships. District denied Student a FAPE by failing to meet his unique needs during the 2003-2004 school year. Did District deny Student a FAPE during the 2004-2005 School Year? 27. As described in Legal Conclusions paragraphs 14 and 15, and determined in Factual Findings paragraphs 22 and 26, District failed to assess Student in the areas of receptive and expressive language, and his academic performance in mathematics. 28. As described in Legal Conclusions paragraphs 2 through 5, and 7 through 10, and determined in Factual Findings paragraphs 67, 68, 73, and 77, District failed to meet Student’s unique needs in the areas of phonological awareness, reading fluency, reading comprehension, receptive and expressive language, and mathematics. 29. As described in Legal Conclusions paragraphs 7, 9, and 12, and determined in Factual Findings paragraph 112, District failed to adequately describe the additional support services Student required during the 2004-2005 school year. However, Student failed to show that he did not receive the paraprofessional support services that he needed. Student did not show that Mother was denied an opportunity to participate in the IEP decision-making process as a result. 30. As determined in Legal Conclusions paragraphs 27 and 28, District denied Student a FAPE during the 2004-2005 school year. Did District Deny Student a FAPE during the 2005-2006 School Year? 31. As described in Legal Conclusions paragraphs 14 and 15, and determined in Factual Findings paragraphs 30 and 36, District failed to assess Student’s academic performance in reading and mathematics. 32. As described in Legal Conclusions paragraphs 2 through 5, and 7 through 10, and determined in Factual Findings paragraphs 82, 83, and 87, District failed to meet Student’s unique needs in the areas of receptive and expressive language and reading. 33. As described in Legal Conclusions paragraphs 11, and 16 through 18, and determined in Factual Findings paragraph 16, the IEP failed to describe the reading program that Student required to meet his unique needs. As described in Legal Conclusions paragraph 6 and determined in Factual Findings paragraph 116, this failure resulted in a denial of educational benefit. 34. As described in Legal Conclusions paragraphs 11 and 16 through 18, and determined in Factual Findings paragraph 121, District failed to conduct an IEP team meeting to discuss Student’s triennial speech and language assessment during the 2005-2006 school year. As described in Legal Conclusions paragraph 6 and determined in Factual Findings paragraph 122, this failure resulted in a denial of educational benefit. 35. As determined in Legal Conclusions paragraphs 31 through 34, District denied Student a FAPE during the 2005-2006 school year. Did District Deny Student a FAPE during the 2006-2007 School Year? 36. As described in Legal Conclusions paragraphs 14 and 15, and determined in Factual Findings paragraph 42, District failed to assess Student in the area of central auditory processing. 37. As described in Legal Conclusions paragraphs 2 through 5, and 7 through 10, and determined in Factual Findings paragraphs 97, 98, and 104, District failed to meet Student’s unique needs in the areas of receptive and expressive language and for an intensive, one-to-one Lindamood Bell reading program. 38. As determined in Legal Conclusions paragraphs 36 and 37, District denied Student a FAPE during the 2006-2007 school year. 39.As discussed in Legal Conclusions paragraph 25, equitable considerations may be considered when fashioning relief. Relief should be designed to ensure that the student is appropriately educated within the meaning of the law. Relief must be based on the individual needs of the student and should be reasonably calculated to provide the educational benefits that likely would have resulted from the services the district should have provided to student. 40. As determined in Factual Findings paragraph 104, the Lindamood Bell reading program is reasonably calculated to provide Student the educational benefit that he would have received if the District provided him appropriate services. As determined in Factual Findings paragraph 104, Student shall receive 200 hours of an intensive, consistent Lindamood Bell program focusing on concept imagery for oral and written language comprehension and phonemic awareness/symbol imagery for phonological and orthographic processing. 41. As determined in Factual Findings paragraph 99, Student shall receive 90 minutes per week of direct speech and language services during the 2006-2007 school year. Student shall receive, as compensatory education, direct speech and language services equal to the number of hours that he would have received if District provided him 90 minutes of direct speech and language services per week since the beginning of the 2006-2007 school year, reduced by the number of hours of direct speech and language services that Student actually received. 42. District must assess Student’s mathematics skills and central auditory processing. 43. District shall convene an IEP team within 30 days of the date of this Decision to develop appropriate goals in the areas of receptive and expressive language and reading. 1. Student shall receive 200 hours of an intensive, consistent Lindamood Bell program focusing on concept imagery for oral and written language comprehension and phonemic awareness/symbol imagery for phonological and orthographic processing. These services shall begin within 20 days of the date of this Order, or at the sole discretion of Student’s parents, may begin upon implementation of the IEP required by item 4 of this Order. 2. Student shall receive 90 minutes per week of direct speech and language services during the 2006-2007 school year. These services shall begin within 20 days of the date of this Order, or at the sole discretion of Student’s parents, may begin upon implementation of the IEP required by item 4 of this Order. 3. Student shall receive, as compensatory education, direct speech and language services equal to the number of hours that he would have received if District provided him 90 minutes of direct speech and language services per week since the beginning of the 2006-2007 school year, reduced by the number of hours of direct speech and language services that Student actually received. 4. Within 60 days of the date of this Decision, District shall complete an assessment of Student in the areas of mathematics skills and central auditory processing. District shall convene an IEP team to consider these assessments and to develop an IEP that meets all legal requirements. 5. District shall convene an IEP team within 30 days of the date of this Decision to develop appropriate goals in the areas of receptive and expressive language and reading. The District shall comply with all legal requirements governing the IEP team meeting and the IEP. 6. All of Student’s other claims and requests for relief are denied. Education Code section 56507, subdivision (d), requires a decision to indicate the extent to which each party prevailed on each issue heard and decided. Student and District each partially prevailed on Issues 1 and 3. Student prevailed on Issue 2.